Ravn, a respected physician, is desperately seeking a cure for his dying wife, Vilma. When the hospital stops her treatment, Ravn continues working in secret. He is aided by the corrupt civil defence man Leif, a doomsday prepper and former patient of his. Deep underground, Ravn and Leif open an illegal clinic for treating off-the-grid patients. 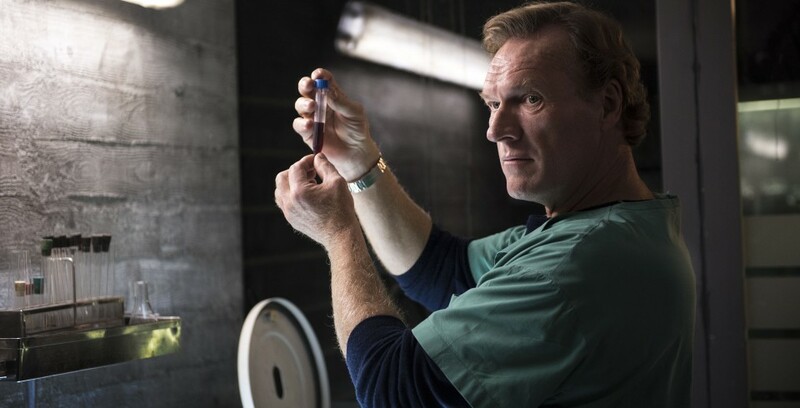 The clinic finances Ravn’s research into a cure for Vilma, while Leif increases his position among the criminal and the paranoid who live outside the welfare state. Valkyrien is a high-concept thriller like nothing we have seen before. Unmissable.